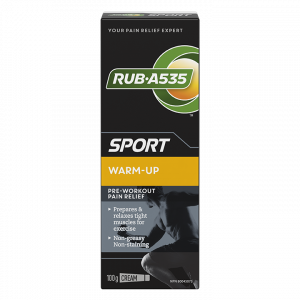 we have a RUB·A535TM for you. With 50% more pain-relieving ingredients than Regular Strength, it provides extra deep-penetrating heat and soothing pain relief. 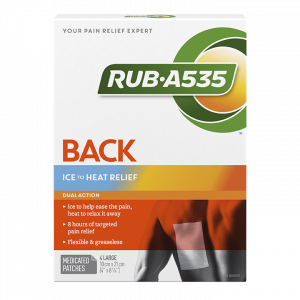 Relief that starts cold to ease the pain, then turns hot to provide soothing back and lower back pain relief. Get deep-penetrating, deep cold pain relief from muscle and joint related injuries, strains, and sprains. Formulated to provide deep-penetrating heat and soothing relief from pain and inflammation experienced during arthritic flare-ups. This non-greasy, non-staining formula is specially formulated for your pre-workout routine and sports. 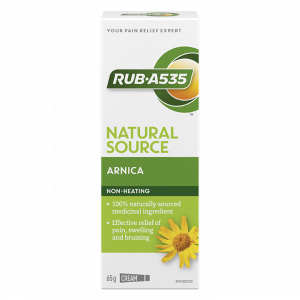 This herbal anti-inflammatory is made with 100% naturally sourced Arnica for soothing relief of pain, swelling, and bruising. 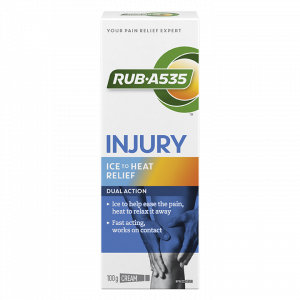 Get deep-penetrating heat and soothing pain relief from your sore, aching muscles and stiff joints. Made with 100% more pain-relieving ingredients than Regular Strength for maximum relief from sore, aching muscles and stiff joints. 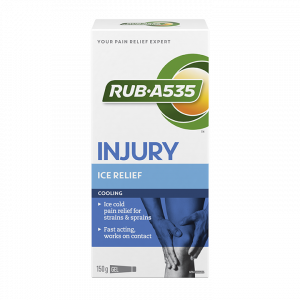 Get temporary odourless deep-penetrating, soothing pain relief from sore, aching muscles and stiff joints. Made with 50% more active ingredients than Regular Strength for deep-penetrating, soothing pain relief from sore, aching muscles and stiff joints. 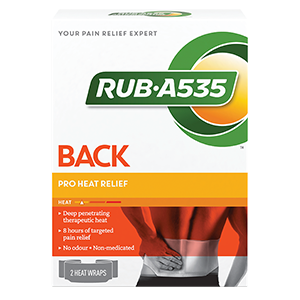 Deep-penetrating, therapeutic heat helps relieve back and hip aches associated with overexertion, strains, sprains in your back, and arthritis. Absorbs quickly for deep-penetrating, deep cold pain relief from muscle and joint related injuries, strains, and sprains. 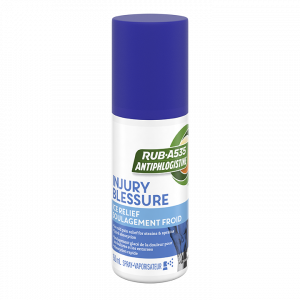 Specially formulated to work on contact with deep-cooling relief, followed by heat for deep-penetrating warmth. 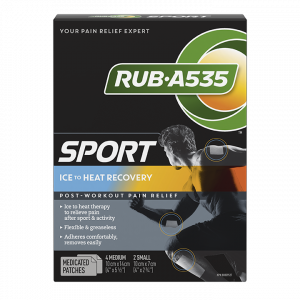 The combination of soothing cold and therapeutic heat helps your body recover from pain after sport and activity. © 2019 RUB•A535™. All rights reserved.